In a quiet town in the middle of south east Queensland lives a huddle of strange sisters whom, in between tending ants, knitting egg warmers, and hanging out cane toad skins to dry, travel around the country performing their popular musical shows to a growing following. This oddball musical trio marry curious real life stories with a host of uniquely homemade arrangements of popular songs gleaned from their old wireless in a highly entertaining event. 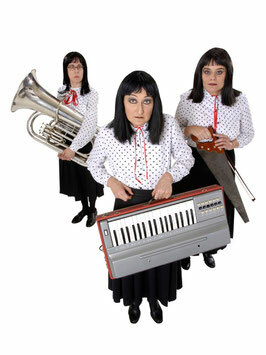 With kitchen pot, toilet brush, keyboard, musical saw, tuba, guitar and duelling tambourines these three weird yet endearing spinsters present offbeat covers of songs ranging from Nana Mouskouri and Eurythmics to Talking Heads and The Bee Gees. The combination of the Sisters’ sheltered view of the world seen through their superbly droll comic dialogue, and alluring musical sound makes this night out with your strange old aunts an unforgettable experience. 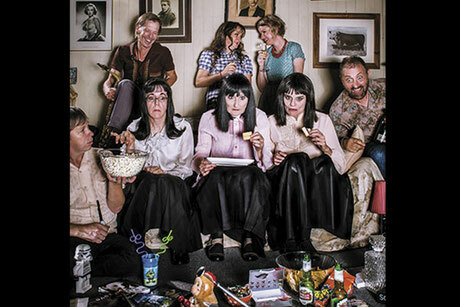 The Kransky Sisters have been regular guests on television including SBS’s In Siberia Tonight and ABC’s The Side Show and Spicks and Specks and BBC’s Comedy Shuffle.  The Sisters currently tour their hugely successful concerts - A Very Kransky Christmas; Piece of Cake; and also Tunes From The Tube (with Topology). 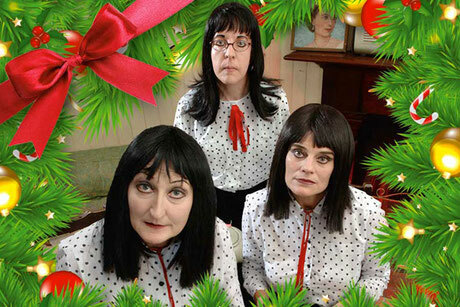 The Kransky Sisters feature the enigmatic talents of Annie Lee, Christine Johnston and Carolyn Johns, as Mourne, Eve and Dawn Kransky. 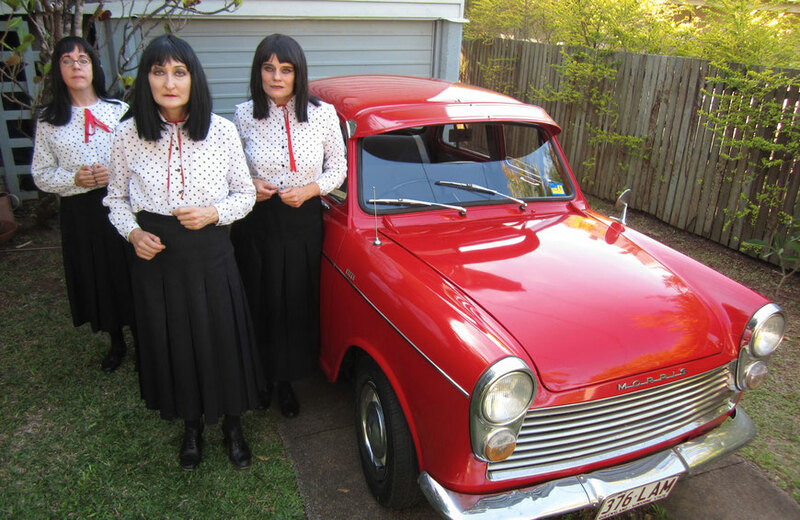 Cloistered in the old rickety family house in their home town of Esk in Queensland the musical Sisters traditional Christmas festivities have until now been shrouded in secrecy. For this very special reason they're about to let you into their world of eggnog, pantyhose and painted chokos. From Enya to Silent Night, Daft Punk to the Twelve Days of Christmas, these dysfunctional sisters take family get-togethers to a new level. With their unusual array of instruments from cheese graters to toilet brush, tuba to musical saw, settle in for what could be your kookiest Christmas party ever! Enjoy a popcorn-fuelled DVD marathon? 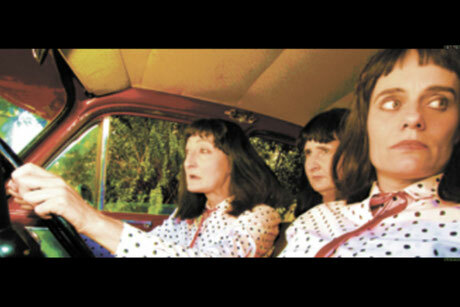 Then you'll know how The Kransky Sisters feel when they discover the lure of television thanks to Topology. 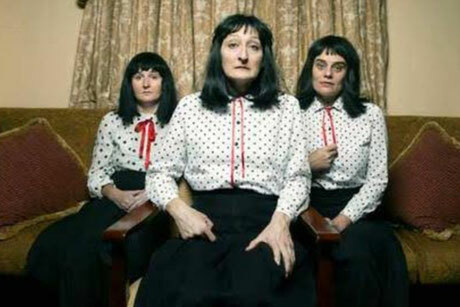 Have The Kransky Sisters developed square eyes and a new obsession? When the Sisters invited acclaimed ensemble Topology into their home for rehearsal, little did they know that Topology would bring their sleeping bags, tv set and movie collection. Watch as they combine forces to bring you unique versions of some of the world’s most-loved scores and songs. Watch out! 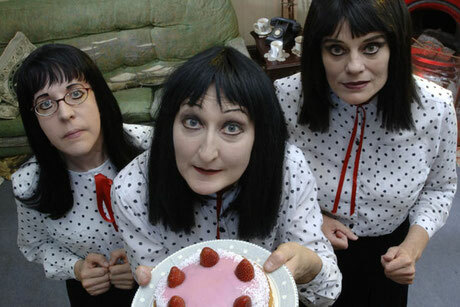 The Kransky Sisters are bringing their brand new-baked show to town! 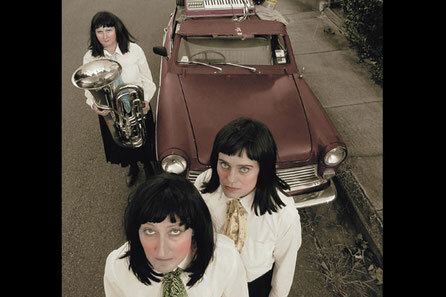 From Abba to Pink Floyd and Beyonce to AC/DC, these three eccentric sisters with their eclectic mix of instruments including musical saw, tuba, old reed keyboard, and kitchen pots, have cooked up a very special sweet and sour serving of well known songs gleaned from their old wireless at home. Add to this, a spicy lot of stories from the Sisters’ travels, and you have the icing on the cake. Hot out of the oven, these oddball Queensland Sisters reminiscent of your old aunties, will leave you wanting seconds! Music ensemble Topology need a tuba player for their upcoming concert. They had seen Dawn Kransky play, and ask her if she would perform with them. Dawn makes herself available for the concert, arranging to take leave of her job as trolley librarian at the Esk Hospital and also the music rehearsals with her older sisters. Mourne Kransky insists that she and Eve chaperone Dawn to this new collusion in order to ensure nothing un-toward is played by this music ensemble Topology. A musical treat!! 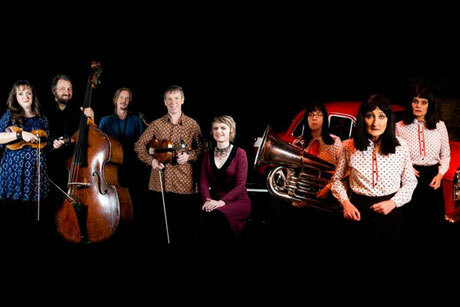 Having returned to Australia from their tour of the wilds of Europe, where shoes are made of wood and roads are on the wrong side, Mourne, Eve and Dawn Kransky boil up a simmering mix of music, song and stories about their naive take on travels throughout England and Europe. During this concert they cover songs from Grace Jones and The Bee Gees to Devo, AC/DC and the Steve Miller Band. If you think you’ve heard it on the wireless, you’ve never heard it like this! 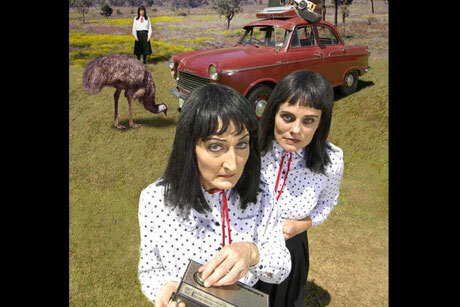 Covering songs from Nana Mouskouri, Eurythmics and Talking Heads to Michael Jackson and AC/DC, The Kransky Sisters share stories of their home-life and travels throughout the deserts, cities and countryside of Australia.